Pot charges don’t go away, even after 30 years. ​A 74-year-old woman from Hamilton, Ontario who attempted to cross the U.S./Canadian border into New York earlier this week was arrested when a officials discovered a marijuana charge from 1980. U.S. Customs and Border Protection (CBP) agents said Homenella Cole advised officers at the Lewiston-Queenston border crossing Monday that she had previous criminal convictions in Canada, reports the National Post. “She said she wanted a waiver to enter the U.S., which is not uncommon,” CBP spokesman Kevin Corsaro said. When officers then ran a routine criminal record check, they learned Cole had an active felony warrant issued on April 1, 1980 by the New York City Police Department. Cole was arrested on the outstanding warrant and was extradited to New York City. 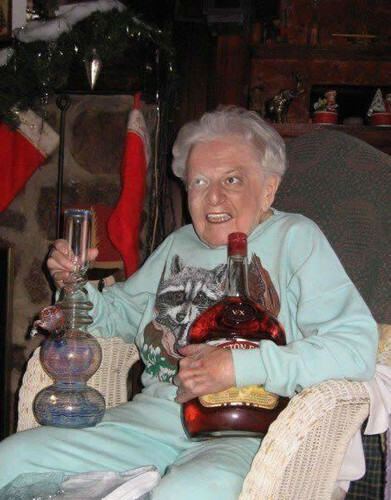 The senior citizen will face the charge of possession of marijuana with the intent to distribute.